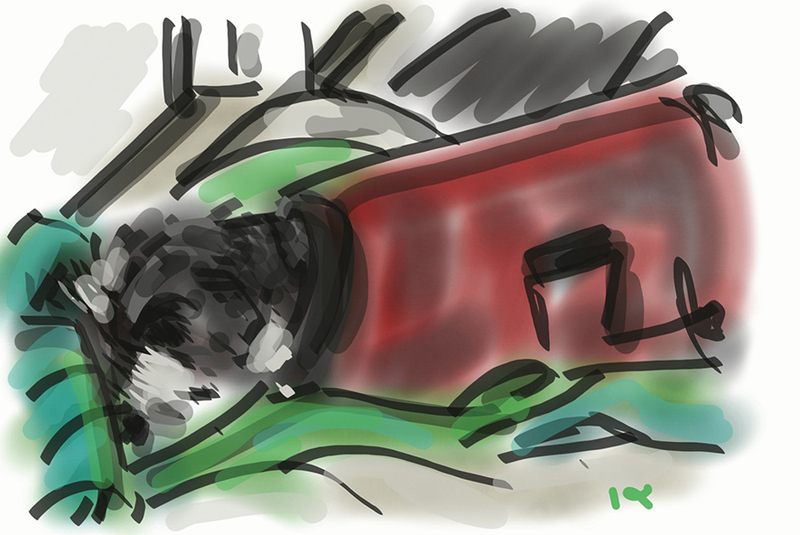 More trials and errors on the sketch app, this time with the perennially snoozing Peppi as the model. Peppi is back from his big trip away and is showing his delight at being home by promptly going to sleep in front of the fire place. This will be last Peppi drawing for a while, as I shall be off to Adelaide on a flat-finding mission. I’m fairly certain he won’t even notice I’m not there. I thought I had left the mice behind in England, but no! The cold, windy weather has brought them inside and we have seen our first for the winter. Peppi, naturally, slept through all the commotion, so I’m thinking of swapping him for a lively kitten. My stepmom’s dog is very old and very slow, and very particular about his walking route. There are messages to read and patches of lawns to visit on our way to see the beach and back, and we always have to make a stop under this coast banksia. It was a fairly wet day so we spent it by the fire, the dog asleep and me reading my new textbook. This trip is all about catching up with friends and family, so it’s always nice to take five and play on the computer, or in Peppi’s case, have a snooze. 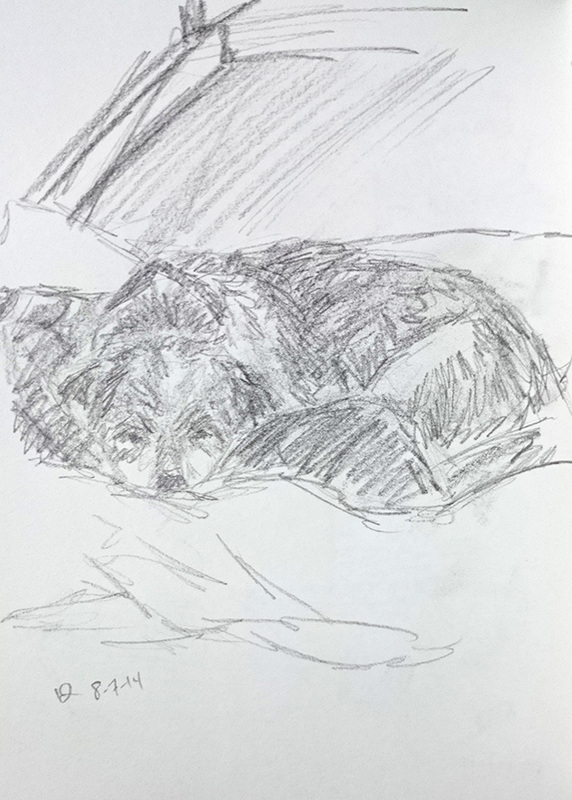 This is a quick sketch of Peppi as I’ve been painting all day (the shed, not anything exciting) and there will be visitors tonight so no time to do anything later. For someone who is still a lady of leisure, I seem to be rushing about a lot. I don’t sketch throughout the day as much as I ought to, so I have to use all available resources late at night. Luckily for me, I have a sleepy model ready to pose at any time.